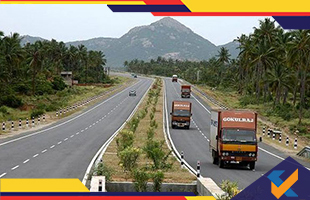 National Highways Authority of India (NHAI) has revised its toll rates by 5 to 7%. According to transporters, this is likely to lead to the prices of essential commodities shooting up. Going by the official statement of Mohammad Safi, National Highway-2 project director, NHAI has 372 toll plazas across the country. Before the start of every financial year, a revision in the toll rates takes place, on the basis of Wholesale Price Index (WPI). The rates may vary from one toll plaza to another in the same region. He confirmed that there has been an increase of around 5% in the toll rates on NH 2. Rates for monthly passes (50 trips per month) have also been increased. From April 1, small cars going from Agra to Delhi or vice versa via NH 2 will be charged Rs. 10 extra toll tax. Likewise, commuters from Agra to Jaipur via NH 21will have to shell out around 6% more toll tax. According to Virendra Gupta, President of Agra Transporters’ Welfare Association, this is a highly unreasonable move as transporters were already in a tight spot, thanks to e-way bill and third party premium for vehicles transporting goods. Besides, the rise in diesel prices also needs to be taken into account. Amidst such a scenario, transportation cost is bound to increase, which will consequently result in the surge of prices of essential commodities. He added that the association will hold the protest against this move of the government. They are in constant touch with senior leaders of All India Motor Transport Congress (AIMTC), an 81-year-old apex body of transporters, both cargo and passenger, representing 93 lakh truckers and 50 lakh bus and tourist operators. Charan Singh, president of Agra Public Carrier Association, is of the opinion that NH 2 is in a poor condition as NHAI is yet to complete the ongoing six-lane project even after much delay. The condition is no better even in other highways of North India. He opines that despite such a situation, it is unfair to increase the toll rates, and that the government must consider a rollback.